Are you a Shopper or Business Owner or BOTH? Do you live in North Myrtle Beach or just like to visit the beach? 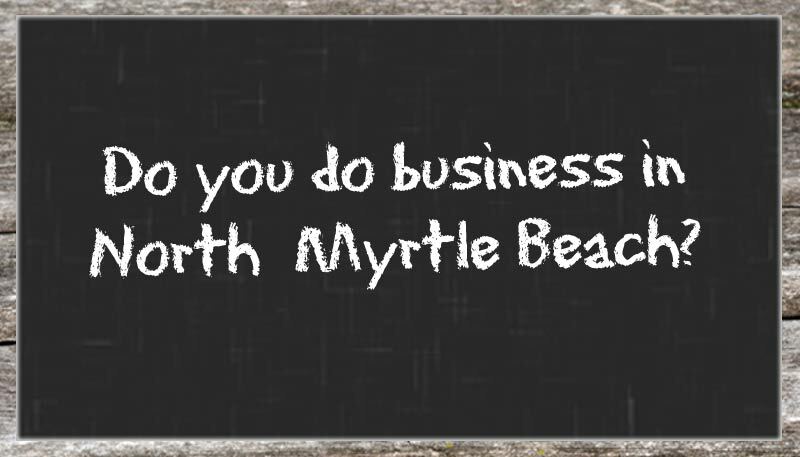 Do you have a business located in the NMB Area? Are you looking to get more customers to your website? Are you looking for more people to come to your office or location? Would you like more phone calls? Grand Strand Marketing Group is located in North Myrtle Beach and is working with businesses that want more exposure in the local NMB Marketplace. We have a network of local market websites targeted to those that live here as well as those people that visit the beach for vacation and leisure. Our team is very involved with the local beach music scene and works with several of the clubs on Main Street to bring the best artists in Carolina Beach Music to NMB. We promote events through website marketing and discounted advance ticket sales. Your business may benefit from the exposure we are already getting. Contact Us to learn how we can help your business get more customers. North Myrtle Beach is a great place for a family vacation. There are so many choices in the Grand Strand for dining and entertainment and DON’T Forget the Golf! Close to 100 courses in the area!